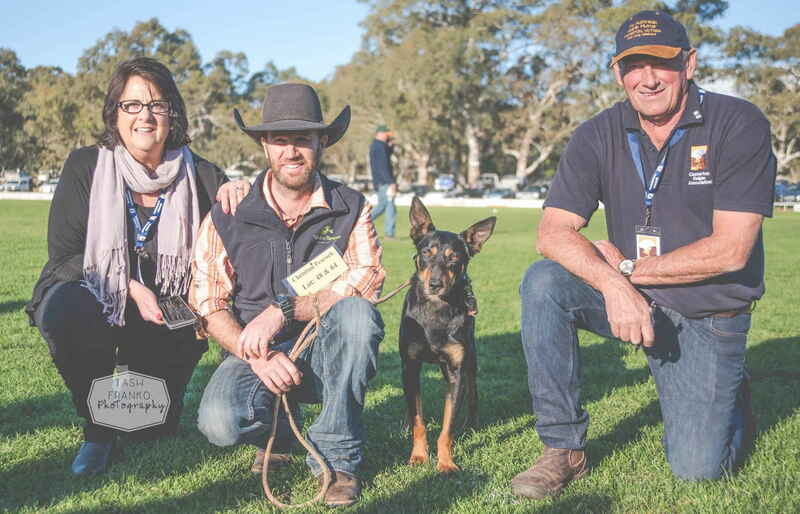 Casterton tourism recognition has been cemented over the last 20 years with the development of the branding as the “Birthplace of the Kelpie” breed. Annually over the Queen’s Birthday long weekend in June visitors flock from across Australia and overseas to experience the unique character of this Australian icon through the Australian Kelpie Muster. Given Casterton’s superb location on the magnificent Glenelg River nature-based tourism is strong with visitors have the amazing opportunity to experience the diversity and natural beauty of the area with the rolling Red Gum hills, the rich history and country charm. The Glenelg River is the central feature of the Lower Glenelg National Park totalling some 27,300 hectares in area. Along the last part of its winding 400 kilometre path to the sea the river has carved a spectacular gorge up to 50 metres deep through limestone. River erosion and the action of rainwater have created the remarkable Princess Margaret Rose cave. Casterton is renowned for its livestock production and the demand for stock bred throughout the district is truly testament to this. 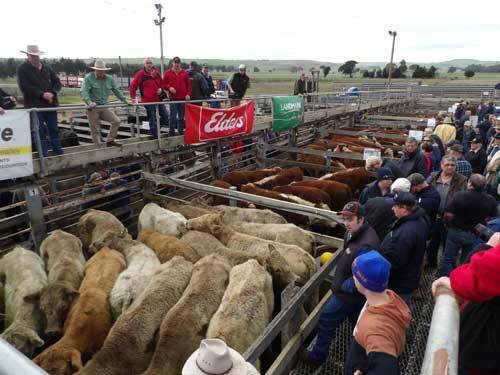 The Casterton Saleyards conducts some of the largest weaner sales in the state as well as Store cattle sales throughout the year. The sheep and lamb sales in December are renowned as a premier sale in the region. The district is abundant with fertile soils and a reliable rainfall. This water security has enabled strong growth in the beef cattle, sheep and wool markets, a variety of crops, horticulture and timber. The Green Triangle Region in South East South Australia and South West Victoria is home to the largest plantation forestry based industry in Australia, with large areas of both Radiata pine and blue gum plantations. With over a 100 year history, the industry is mature and is a major economic driver in the region, underpinning about 18,000 jobs and generating more than $790 million annually. Forestry is the main export commodity from the Port of Portland, accounting for 4.5 million tonnes making it the largest hardwood chip export port in the world. Almost 2.5 million Green Metric Tonnes of softwood logs are processed locally at 15 mills across various locations. Sales of more than $5 billion per year are generated from 355,000 ha of plantations – including woodchip exports, log exports, products used in the domestic market from local softwood processors. The growth of several of the larger population centres in the region is directly attributed to service provision to the forestry industry; these include Mount Gambier, Millicent and Penola in SA and Casterton, Hamilton and Portland in Victoria. Casterton’s is well positioned to play a significant role in the expansion of transport and logistics in the South West. Its central location, road networks and direct access to the natural deep sea Port of Portland are an advantage. 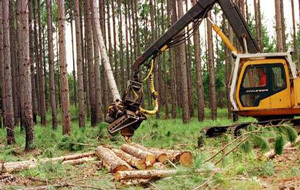 The harvesting of plantation timber, the expansion of the energy sector and general increases the primary production are the future of this region. Retail activity in Casterton is concentrated within the Main Street precinct, with its historic buildings and magnificent avenue of Manchurian Pears trees. As the districts ‘service centre’ Retailer’s offer a variety of specialist stores, 2 hotels, supermarket, solicitors, accountants, hairdressers, rural suppliers, antique stores, book sellers and eateries. Casterton is renowned for its quality health sector. With over a century of commitment to the community the Casterton Memorial Hospital has maintained the position of a progressive, diverse and modern facility supported by 4 General Practitioners. The Casterton Memorial Hospital remains a vital economic driver within the community. It is the largest employer in the District and supports many community health services. Ambulance Victoria provides a 24 hours service to the district with 2 fully qualified Paramedic’s stationed at Casterton and access to fixed-wing Air Ambulance and Emergency Helicopter service. Education is available locally through our two Primary Schools and Secondary College and the Kathleen Millikan Centre (Casterton Kindergarten) . Access to tertiary institutions within 45 min drive, gives students and adults the opportunity to increase their skill base to meet the demands of the future. The Casterton Airfield is strategically located with 360 degree radial coverage for over-land flying and is the optimum location for aerial turnaround flying. The airfield is also the optimum location for aerial turnaround periods to combat fire threats in relation to the majority of the Green Triangle Forestry Plantation Estate within Victoria, together with extensive public lands (mainly within the Lower Glenelg National Park). The State Government has spent in excess of $800,000 over the last couple of years upgrading their facilities. Also some 635,000ha of Plantation Forestry Land is accessible within 15 minutes flying time of Casterton Airfield. The fixed-wing air ambulance has access to serve the Casterton district. Currently the Glenelg Shire is working with all levels of government through its strategy ‘Casterton Airfield Upgrade’ identifying $1.6mil in improvements to ensure that air services meets the emergency services and the community needs into the future. They say the strength of a community can be determined through its Football / Netball Club. The Casterton Sandford Football Netball Club (The Home of the Cats) is a member of the Western Border League and is fielded by a full coverage of teams at each level of competition. If this is any indication of the strength of the community, volunteerism and commitment the local football/netball clubs are a true reality check. Casterton is also home to a healthy mix of other sports, including Cricket, Basketball, Tennis, Squash, Croquet, Golf and Bowls just to name a few.